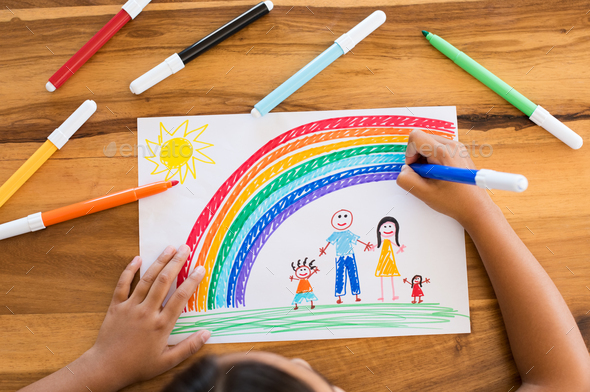 Top view of little girl’s hands painting happy family with marker on white paper. Drawing sheet with artwork by daughter on table. Little girl using marker to make family painting with rainbow.